The owner, Daniel, is an amazing and gentle person, the house amazing, confortable, very well decorated and the location is perfect for rural vacations. ideal with children. The hosts were very friendly and made us feel super welcome and at ease with any questions that we had. Daniel was a super host. Talkative and very generous with the welcome gifts (super tasty). Perfect, quite location in harmony with the country side landscape. The hosts are really friendly and accommodating. 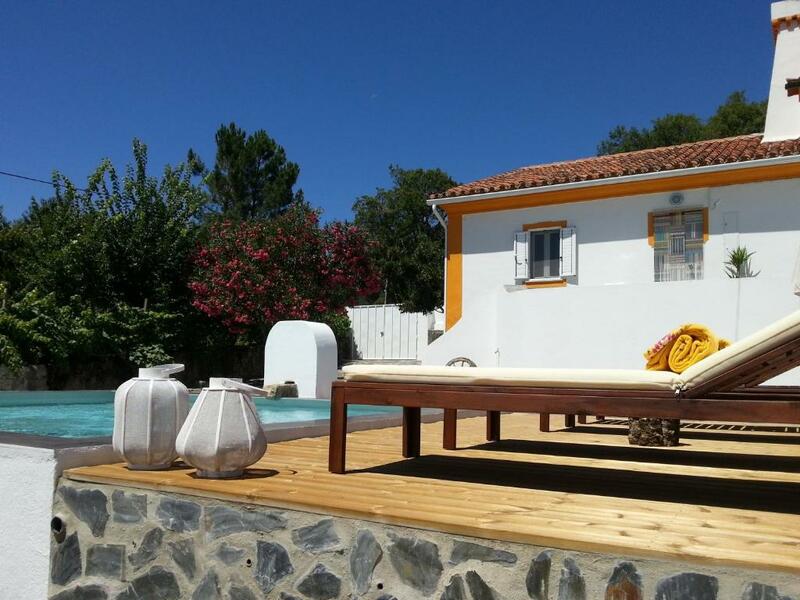 Very beautiful location and the house has everything one needs, never experienced something like this in Portugal! Daniel is a SUPER host who goes the extra mile to make you feel right at home. He made the luxurious olive oil soap in the bathroom, had his favourite bottle of wine waiting for us, and even went out to get some warm bread from a local baker. The guy is GENIUS when it comes to interior design, making you feel like you’re stepping into a magazine. Galegos itself is a very cute community chock full of amazing hiking trails. The pool is welcoming after a long hike, and most relaxing with the music of bells on neighbouring sheep in the distance. This place truly makes you feel special! You should stay here. I think you’ll love it too! Daniel, fireplace, design, nature, presents - everything was perfect! Five stars accomodation! Daniel, our host was 5 stars. He anticipated any eventual needs and didn't allow any fails. He was always available and attentive, without being annoying or intrusive. He is also a person with a great knowledge of the surroundings and nice to talk with. The house is cozy and very comfortable, well equipped and carefully decorated. Daniel's cats are also very friendly and will make you feel like home. 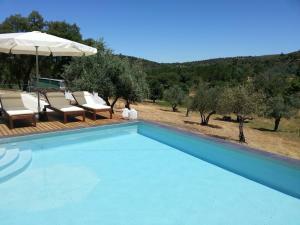 The nicest host you can think of, a really modern and beautiful renovated old house, good location close to Marvao, nice outdoor area. Thank you Daniel for the great stay! Overall we believe this is a true 9.x location for couples, and a slightly lower rated 8.x location for families with kids. We will recommend it to friends and family! 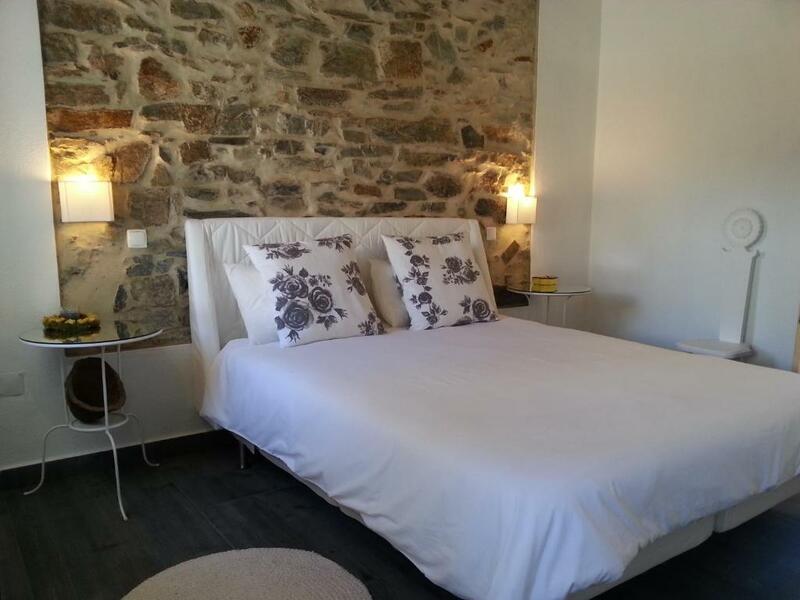 Lock in a great price for Casa Dos Galegos – rated 9.8 by recent guests! 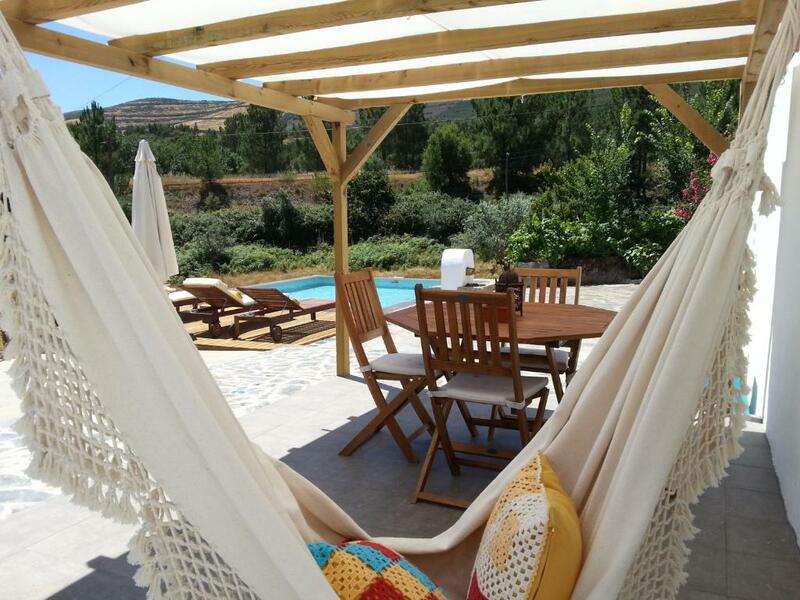 Combining traditional architecture with a modern layout, Casa dos Galegos is a private property with two different self-catering houses, located in Galegos, in the Alto Alentejo region of Portugal, only 6.8 mi from Marvão village. Each house features a private outdoor swimming pool and a tiled stove. One house includes a sofa bed in the living room and a double room with a private bathroom. 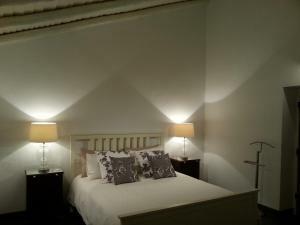 The other includes a double room and a mezzanine with a double bed. Free WiFi access is available in both houses. The kitchens are fully equipped and there are barbecue facilities available. Guests can prepare themselves a meal and enjoy it outdoors. The poolside sun loungers invite guests to relax after a bicycle ride or a horse riding tour, available upon previous request and at a surcharge. Castelo de Vide is 6.2 mi away, and the lush Portagem area is less than 10 minutes' driving from Casa dos Galegos. The Ancient Roman City of Ammaia is less than 10 minutes’ driving, in S. Salvador da Aramenha. This property also has one of the top-rated locations in Marvão! Guests are happier about it compared to other properties in the area. When would you like to stay at Casa Dos Galegos? Featuring a private pool, this house combines traditional architecture with a modern layout. Please note that the 3rd and 4th guests are accommodated in the living room. This house is in a renovated old barn house and horse stable. It has a mezzanine with a double bed over the living area. 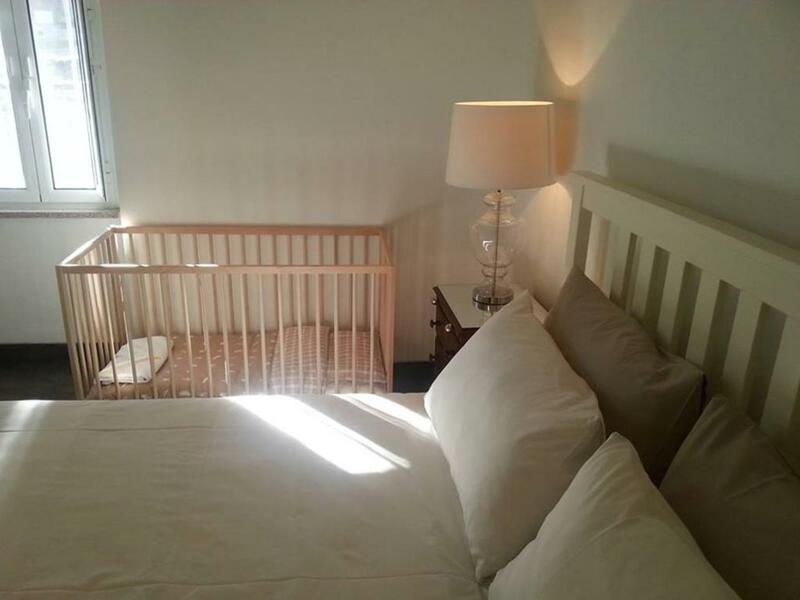 The main bedroom can accommodate a baby cot and also includes a private bathroom. The house has its very own outdoor swimming pool. Please note that the 3rd and 4th guests are accommodated in the mezzanine. 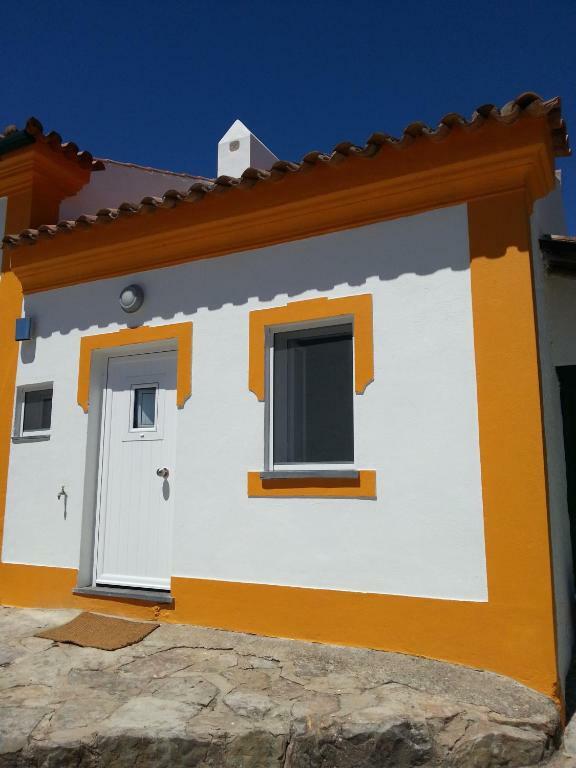 During the Spanish Civil War (1936) a Portuguese couple settled in Spain took refuge in Portugal and built the Casa dos Galegos (House of Galicians), where they would live for the rest of their lives. For some time, part of the house worked as a medical station that served the locals. In the 50s, the local Primary School was built near the house and for many years there were several teachers who were hosted here. 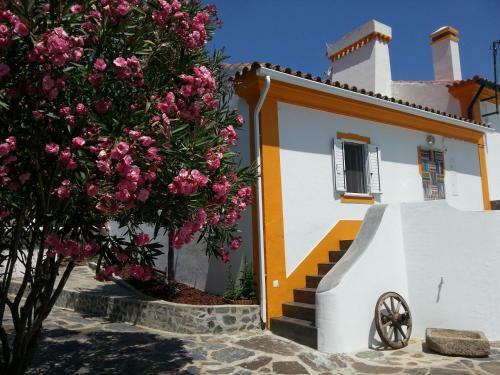 Almost a century later, Casa dos Galegos has been rebuild trying to maintain its simplicity and authenticity and today welcomes guests from all over the world, that make it their own home. 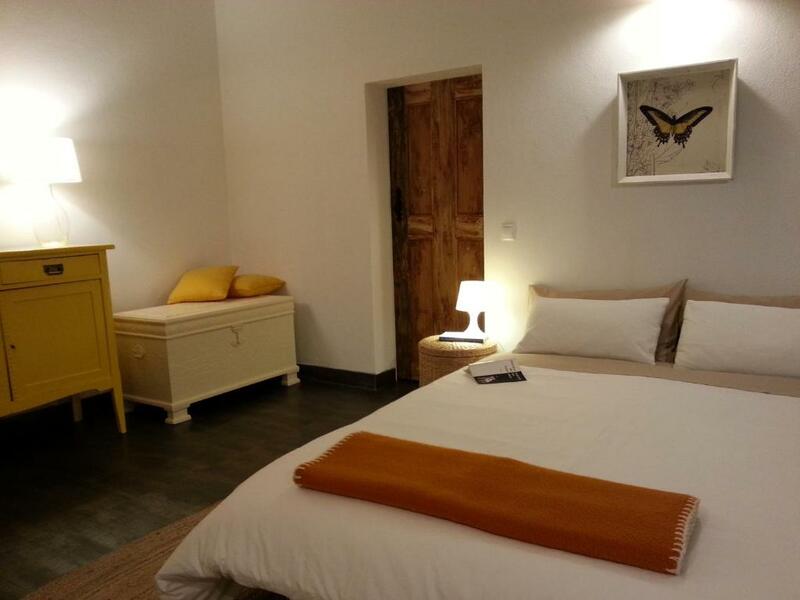 Casa dos Galegos is set in a very special location, overlooking a valley surrounded by mountains. It is near and easy to find it but at the same time it feels surprisingly far from civilization. Near the ancient village of Galegos, which still preserves traces of its rich history in smuggling and trading, you can discover some of the most incredible walking routes of the Natural Park of Serra de São Mamede, with the exquisite "flying castle" of Marvão always on sight. 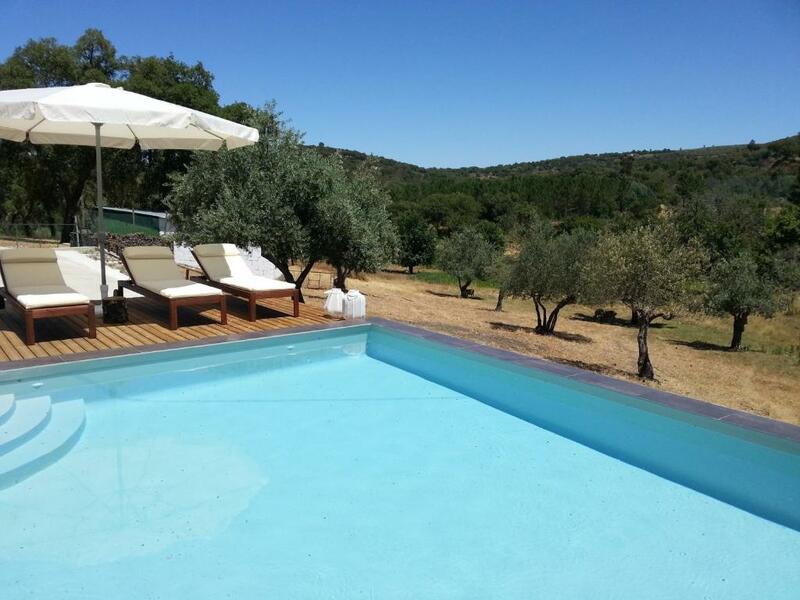 Or you can simply rest, enjoy the views and the quietness of nature, by the private pool or by the log fire. House Rules Casa Dos Galegos takes special requests – add in the next step! Booking.com takes your payment on behalf of the property for this reservation. During your stay, you can pay for any extras using American Express, ​Visa, ​Euro/Mastercard, ​Maestro, ​UnionPay credit card and Debit card . Please inform Casa Dos Galegos in advance of your expected arrival time, using the contact details provided in your confirmation. Please inform Casa Dos Galegos of your expected arrival time in advance. You can use the Special Requests box when booking, or contact the property directly using the contact details in your confirmation. The house should be thought of as a luxury suite, rather as a typical apartment. The kitchen is small (and integrated into the living room) and the sleeping room / bathroom share lights and have no separating door -> if your baby sleeps there, you have to be really quiet to use the bathroom. Additionally there are lots of cats (only outdoors), so if you dont like cats be prepared to have them around.